This slow eating dog bowl stops an unhealthy habit of eating too fast. This slow eating dog bowl stops an unhealthy habit of eating too fast. Dogs love to eat all their food quickly and in one go. When this happens they end up swallowing their food with very little chewing, thus leading to indigestion. 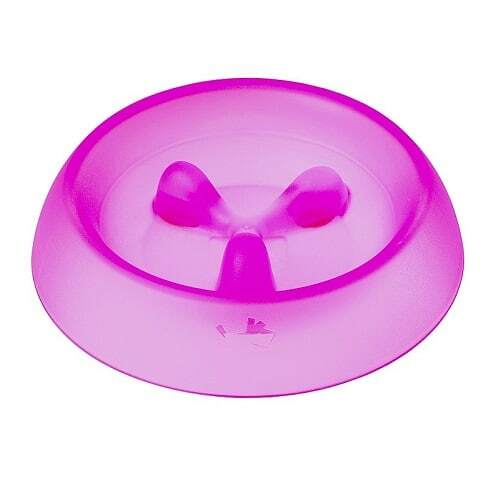 This Eat Better bowl helps dog eat more slowly by using raised partitions that give easy access to food, but stop dogs from gulping their food too quickly. 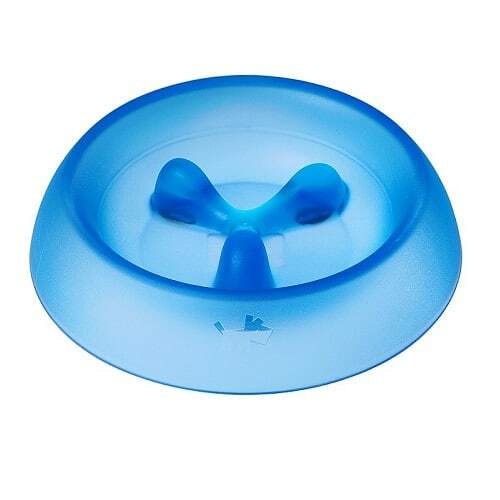 The bowl’s unusual design enables dogs to eat slower, take smaller mouthfuls, chew more, and avoid overeating. 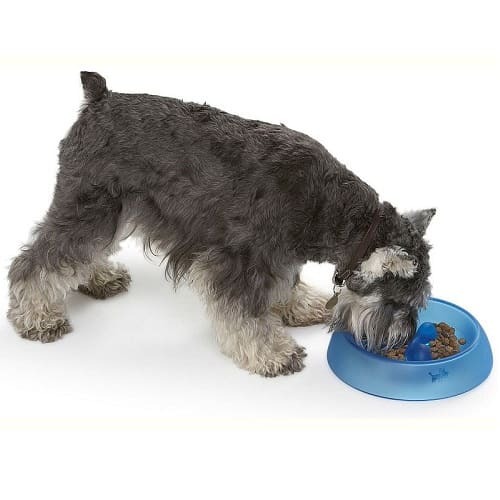 Dogs develop a slower and healthier eating habit when continually using the eat better bowl. Bloating and vomiting are reduced due to fast eating. Slower eating produces better digestion and absorption of nutrients. The slow eating dog bowl is ergonomically designed. 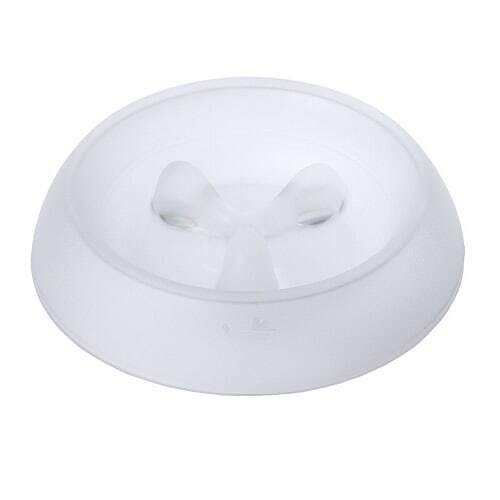 The dog bowl has a sturdy non-slip design with rounded edges. Made from quality, long lasting, food grade and dishwasher safe plastic. The Petite (medium) bowl holds 2 cups of food (500 ml). Good for the following or similar size breeds: Beagle, Miniature Schnauzers, Jack Russell, Bulldog. The Jumbo bowl holds 6 cups of food (1500 ml). Good for the following or similar size breeds: Boxer, Dalmatian, German Shepherd, Mastiff. Supervise your dog’s use of the Eat Better bowl until you are sure that your dog is okay using it. Clean well after each use – After each use, rinse the bowl thoroughly with water and a mild soap solution, if necessary. Occasionally, give it a good scrub with a soft bristle brush, or wash in the top rack of your dishwasher. Definitely slowed my dogs eating down. Worth having. Great product. My Labrador eats a lot slower using this bowl, before it would be gone in a few seconds.